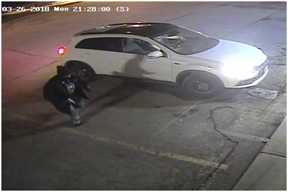 The Ottawa Police Service Break and Enter unit and Crime Stoppers are seeking the public’s assistance in identifying 2 suspects in two attempted commercial break and enters. 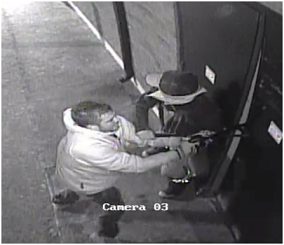 On the 26th of March 2018 and again on the the 10th of April 2018, two male suspects attempted to break into a commercial business located in the 1400 block of Stittsville Main St. On both occasions the suspects arrived in vehicles and attempted to gain entry by using a crowbar. 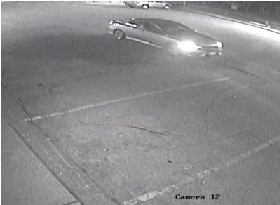 Please see photos below of suspects and vehicles, provided by investigators. 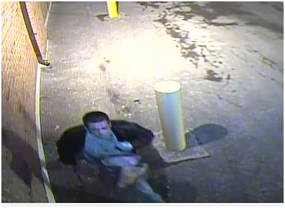 If you know the identity of the individuals call the Ottawa Police Service Break and Enter Unit (613) 236-1222 Ext 2655 or Crime Stoppers toll-free at 1-800-222-8477 (TIPS). Remember Crime Stoppers does not subscribe to call display, we will not ask your name or record your call and you are not required to testify in court. 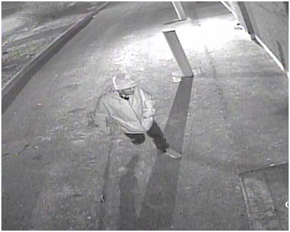 If your information leads to their identity, you could qualify for a cash reward of up to $2000. You can follow us on Facebook, YouTube and Twitter.